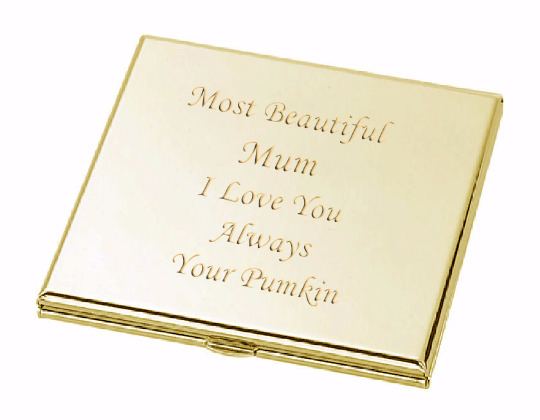 Monogrammed Modern Square Gold Compact Mirror could be engraved with initials, names or messages. Great wedding gift, Personalized gifts makes the memories special. Measurement Size: 3" X 3" X 1/4" High polished square mirror compact features two mirrors, with one magnifying mirror uniquely shaped heart is finished in non-tarnishing nickel plate.